In common usage, “fertilizer” and “plant food” are synonymous. “By legal definition the term fertilizer refers to a soil amendment that guarantees the minimum percentages of nutrients,” according to the Colorado State University Extension website. Nutrients identified on an N-P-K fertilizer label are nitrogen, phosphorus and potassium. Organic fertilizer often contains the micronutrients boron, copper, iron, chlorine, manganese, molybdenum and zinc. 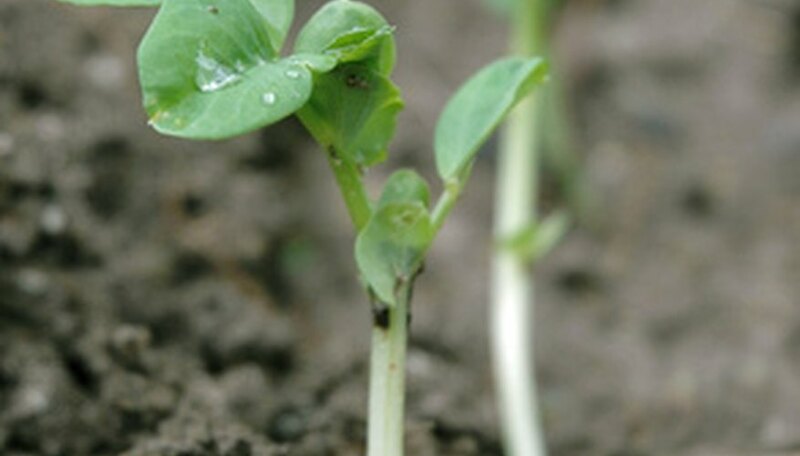 Food for plants is the available nutrients in the soil. Fertilizer is a substance applied to the soil to create plant food. When fertilizer contains high levels of nitrogen, phosphorus and potassium without other essential micronutrients, plants receive inadequate nutrition. Plants need all 13 nutrients to grow well and provide balanced human nutrition. Synthetic or chemical fertilizer is created from liquid ammonia. It is inexpensive to produce and has revolutionized American agriculture. Between 1950 and 1975, total farm product output increased by more than 50 percent and farm labor hours decreased by 60 percent. Mechanization, genetic improvement and increased use of chemical pesticides and fertilizers created this change. Environmental science now identifies atmospheric nitrogen overload from synthetic fertilizer as a primary cause of global pollution, according to a report by the World Resources Institute. Natural fertilizer as plant food is made from material derived from all natural sources. Cottonseed meal, feather meal, bone and blood meal, seaweed, fish waste and poultry manure are common ingredients in organic fertilizer. Natural fertilizer requires soil microorganisms to be effective. “Microorganism activity is generally dependent on soil temperatures above 50 degrees F in the presence of sufficient moisture,” according to the Colorado State University Extension website. Compost is easy to make in the backyard garden using a commercial compost bin or a simple pile. Compost contains all of the essential 13 nutrients needed for plant growth, in addition to oxygen and water. Grass clippings, yard trimmings, kitchen waste, shredded newspaper and dry leaves are layered in the compost bin, watered regularly and left to decay. Mature compost for use as plant food is created in 30 days to three months.